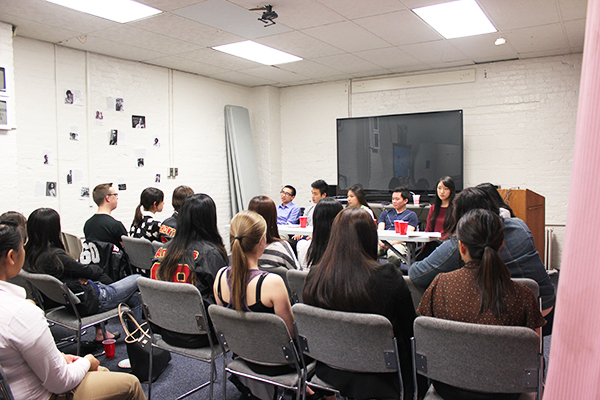 Students from multicultural Greek organizations discussed the role of minority students in Greek life during a panel at the Multicultural Student Services Center on Tuesday. Members of multicultural Greek organizations wear letters and go through a rush process, just like the one-third of students who are involved in social fraternities and sororities. But for years, they’ve felt like campus outsiders. Leaders from the Panhellenic Association and Interfraternity Council have vowed this semester to forge tighter relationships with the Multicultural Greek Council, a group of a half-dozen students who oversee the 17 multicultural Greek chapters on campus. The three groups now meet once a month to organize events for the entire Greek community next semester, said Kasey Packer, president of the Panhellenic Association. “We’re creating more opportunities to be involved and bring all the councils together. It’s something that’s been an issue in the past and that’s why we’ve wanted to work on it,” Packer said. Events for next fall will include new-member orientation that brings members from all three groups together, an expanded Greek day of service to mirror the structure of freshman day of service, and a “Greek unity” event to cap off the recruitment process. There are about 120 members in the multicultural Greek community on campus, including seven students from Georgetown University, compared to 1,200 members of fraternities and 1,500 members of sororities. The connections are forming as the reputation of the Multicultural Greek Community has strengthened in recent years, with membership expanding across its 17 organizations. Kappa Phi Lambda, a sorority for Asian American women, was awarded an F Street townhouse in February – becoming the second multicultural Greek group to have a townhouse on campus. 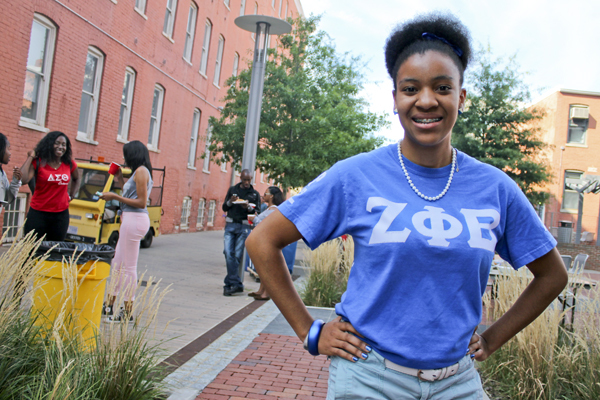 Angela Bonham, the vice president of the Multicultural Greek Council and a member of the historically black sorority Zeta Phi Beta, said her chapter and other multicultural groups felt pushed aside for many years as small membership kept them from participating in annual Greek events. Angela Bonham, vice president of the Multicultural Greek Council, helps run a cookout last fall. Bonham is also president of the historically black sorority Zeta Phi Beta. Bonham also said misconceptions about traditions in multicultural Greek life like specific colors for each chapter, unique cultural traditions, a more informal recruitment process and a wide variety of leadership structures across each group make it hard for members of social Greek organizations to connect. She said the council has floated the idea of changing the structure of multicultural groups to allow for their elections and recruitment schedules fall in line with those of the Panhellenic Association and IFC. The multicultural groups have often shied away from joining major Greek philanthropy events because of low funds and small membership, said Khalipha Misawa, a member of the historically black fraternity Phi Beta Sigma and the former expansion chair of the Multicultural Greek Council. The collaboration with multicultural Greek groups has motivated the IFC and Panhellenic Association to focus more on hands-on community service events, said IFC president Peyton Zere. “Something we idolize about the MGC community is their community service. We focus on big philanthropies and donations, but that sometimes falls short of putting in physical work for the community,” Zere said.